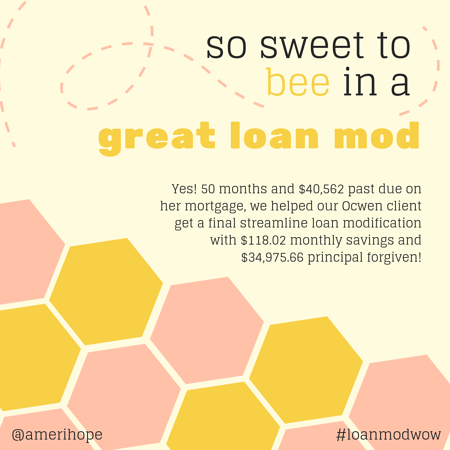 We do this all the time: Our Ocwen clients were $9,518.98 past due on their mortgage, but we helped them get a three month FHA trial loan modification plan with $103.98 cheaper monthly payment! 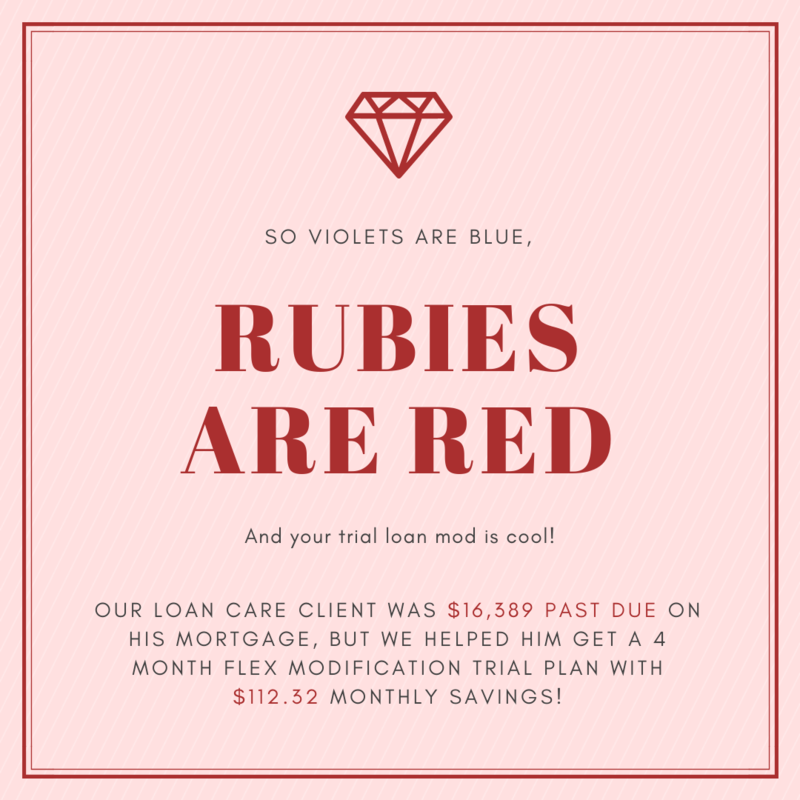 Our Loan Care client was $16,389 past due on his mortgage, but we helped him get a 4 month Flex Modification trial plan with $112.32 monthly savings! Our M&T Bank client was past due on his mortgage by an incredible $131,385.73 with $43,284.73 in negative escrows, but we helped him get a three month trial loan modification plan! Our Penny Mac clients were 9 months and $7,426.38 past due on their mortgage, but we helped them get a 3 month FHA-HAMP trial loan modification with Partial Claim and $30.90 cheaper monthly payment! 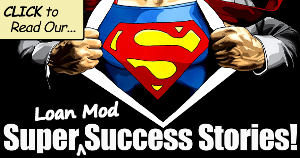 Our SLS client were 79 months (6.5 years) and $279,678.91 past due on their mortgage and in foreclosure. We helped them get a final in-house loan modification with amazing $474.04 cheaper monthly payment and $199,750 interest free deferment!